​Will the Yuan Renminbi finally catch a bid and pave the way for a Gold correction back above 1,200? The combination of a "near" collapse of the Turkish economy with USD/TRY trading as high as 7.1100 (remember: Goldman Sachs drew the line in the sand at 7.1000, where Turkish banks were potentially not capable of running out of their USD reserves) and the losses of the large German chemistry company Bayer (which makes nearly 10% of the German DAX30), where the subsidiary Monsanto faced a $289 million fine in the Roundup weed-killer court trial, lead to a test of the region of the June/July lows around 12,100/130 points in the DAX during the last week of trading. While a break didn't occur, the overall technical picture suggests that there are still fears around an escalation of the trade war between the US and especially China (the Yuan Renminbi last week fell to its lowest levels against the USD since January 2017, equalling to aggressive capital outflows of China) is still negative, and a near term break seems likely. The moment the DAX30 breaks below 12.100/130 points, the chances of a near term test of the yearly lows around 11,700/730 appear to be very likely. For the picture to brighten up, the bulls still need to push the DAX back above the SMA(200), on a daily time frame and above 12,870/900 points. 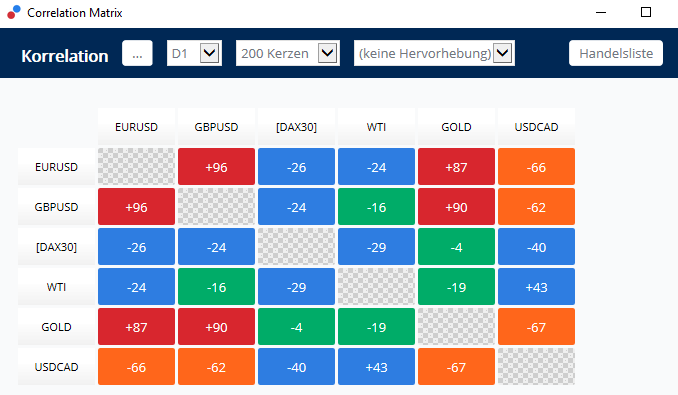 Make sure to check out Admiral Markets' most competitive conditions on the DAX30 CFD, and start trading with a low 0.8 point spread offering during the main Xetra trading hours! We get to see a consolidation at an elevated level in the region between 96.00 to 97.00 points. We get to see a pullback towards the breakout region at 95.00/30 points. 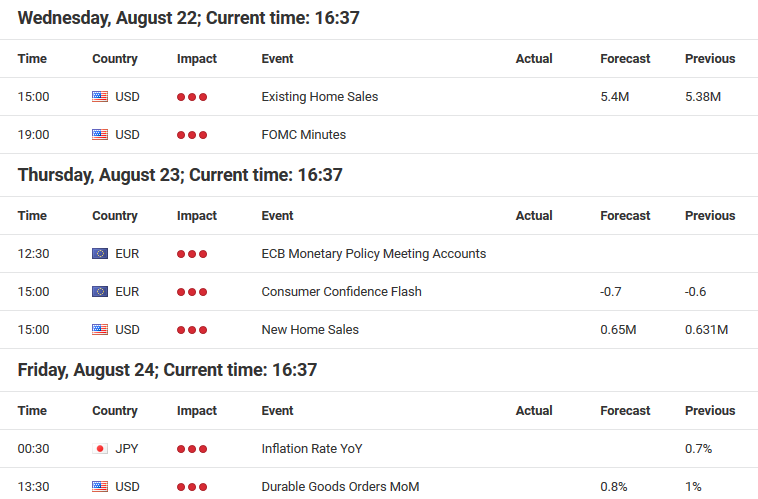 Since the economic docket is quite thin in the upcoming week of trading (the FED Minutes on Wednesday shouldn't deliver anything new around the monetary policy path in the upcoming months: there will be one definite rate hike in September, and another with a high likelihood in December), volatility in the US-Dollar should mainly come from further developments around capital outflows out of emerging markets. This is especially the case when looking at the situation concerning Turkey. A release of pastor Brunson from his house arrest could be a catalyst of a relief rally and could leave the US-Dollar vulnerable to a short-term correction. Don't forget to register for the weekly webinar "Admiral Markets' Weekly Market Outlook", every Friday at 12pm London time! 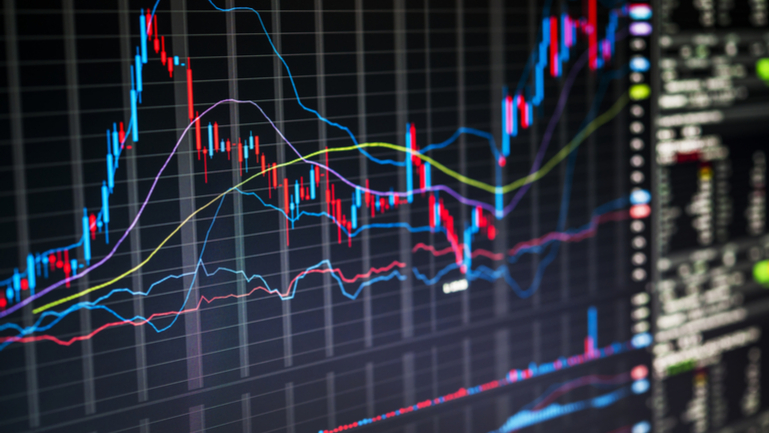 It's your opportunity to check out the weekly market outlook in detail, so don't miss out! While the US-Dollar nearly reached its projected target, the Euro only tested the level around 1.1300, but didn't break lower, and did not reach its projected target around 1.1200. With the scepticism around further bullish momentum in the US-Dollar, chances seem to be good that a re-test of the breakout region around 1.15000/1530 occurs before pushing towards the projected target region around 1.1200. Pound Sterling failed again during the last week of trading, to take on bullish momentum and start a corrective move, even though UK datasets came in as expected (the employment situation and inflation both presented a solid and clear positive "touch") and significantly above expectation (Retail Sales on Thursday showed year-on-year growth of 3.5%, the largest increase since April 2017). With this in mind, and looking at the week GBP reaction on a broad scale, GBP can clearly be considered weak and GBP/USD still has a good chance to see 1.2600 sooner rather than later. With this in mind, it seems to become obvious what is necessary for Gold to catch a bid: a stabilised respectively corrective move lower in USD/CNH. If this finally happens, chances are good that Gold will make back most of its losses over the last few days and weeks. 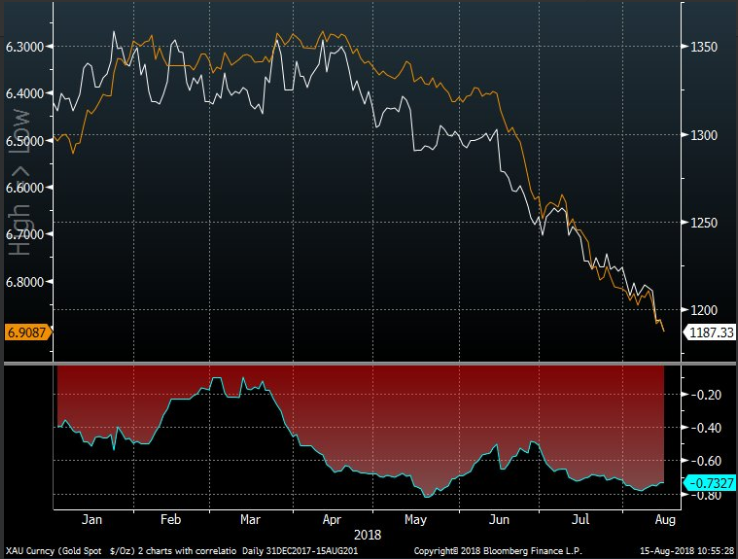 The reason: Gold still finds itself in a very one-sided market environment, where the Commitment of Traders Report shows that the position of the non-commercials is now net-short for the first time since 2002. On top of that, between 14August and 7 September, over the last 20 years, and within 15 years (=75%) Gold traded higher with an average gain of 29.77 USD/ounce, an average loss of 14.70 USD/ounce, and a maximum drawdown of 55.24 USD/ounce. That being said, Gold remains an attractive (anti-cyclical) long candidate for the upcoming days and weeks, and a short term trigger for the beginning of a stronger higher/corrective move can be found around 1,198 | 1,200 USD/ounce.